MONTPELIER, Vt. — Got milk? Twenty-five bipartisan members of Congress say if it's from soybeans, almond or rice, it should not be labeled as milk. 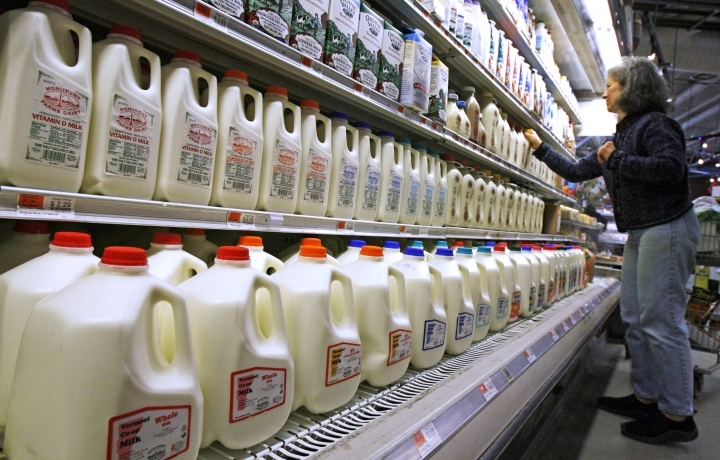 Democratic Vermont Rep. Peter Welch and Republican Idaho Rep. Mike Simpson, leading the charge against "fake milk," signed a letter along with other Congressional members, asking the U.S. Food and Drug Administration to investigate and take action against manufacturers of "milk" that doesn't come from cows. They want the FDA to require plant-based products to adopt a more appropriate name, other than milk, which they say is deceptive. "We strongly believe that the use of the term 'milk' by manufacturers of plant-based products is misleading to consumers, harmful to the dairy industry and a violation of milk's standard of identity," the letter states. Dairy farmers are struggling with "deep cuts in income" following a 40-percent drop in milk prices since 2014, the members of Congress say. The forecast is for prices to remain low. In recent years, the sale of plant-based products, often labeled as milk, has jumped in recent years, the letter states. They say milk has a clear standard of identity: "obtained by the complete milking of one or more healthy cows," among other qualities. "While consumers are entitled to choose imitation products, it is misleading and illegal for manufacturers of these items to profit from the 'milk' name," the letter states. "These products should be allowed on the market only when accurately labeled." The Soyfoods Association of North America said the term "soymilk" has been used on products for over 100 years. It asked the FDA in 1997 to recognize the one-word name "soymilk" but that the FDA has not made a decision on the petition. The FDA said Friday that it had received the Dec. 16 letter and planned to respond directly to lawmakers.